For most teams, the MLB Winter Meetings are all about adding pieces. However, the Toronto Blue Jays made waves at the meetings on Tuesday by subtracting a player. The club announced that they have released shortstop Troy Tulowitzki. The move was not a total shock, but it did take many people in the baseball world by surprise. The biggest reason why some were so surprised to see the Blue Jays cut ties with Tulowitzki is how much money he’s owed. Tulowitzki is set to make $34 million over the next two seasons. He also has a $4 million buyout for the 2021 season. That means the Blue Jays are on the hook for $38 million over the next two seasons for a player who won’t be suiting up for them. For the sometimes cash-strapped Blue Jays, that’s a lot of money to eat. Obviously, they tried to move him in a trade before releasing him. But when that didn’t pan out, Toronto was ultimately content to free up the roster spot at a price of $38 million. Of course, Tulowitzki sat out the entire 2018 season after having surgery to remove bone spurs from both heels. That was after missing the second half of the 2017 campaign after damaging ligaments in his ankle. The now 34-year old Tulowitzki hasn’t played in a major league game since July 2017. 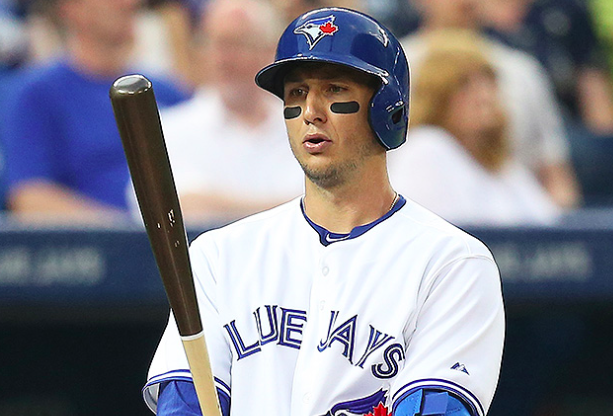 Even before the injury, Tulowitzki was starting to show signs of decline. During his injury-shortened 2017 season, he hit .249 with an OPS of .678, the worst numbers of his career since he first came up with the Rockies in 2006. The Blue Jays were willing to eat Tulowitzki’s contract in large part because of how much depth they have in their infield. As it stands, Lourdes Gurriel Jr. is in line to be Toronto’s primary shortstop in 2019. In his first taste of big league action, the 25-year old Gurriel had an impressive second half in 2018. On the season, Gurriel hit .281 with an OPS of .755. Richard Urena, who’s still just 22, is also an option at shortstop after showing some promise last September. There are also limited places for Tulowitzki to play outside of shortstop. Brandon Drury, a player the Blue Jays are high on, is set to play third base next season. Devon Travis is also entrenched at second base. Meanwhile, the Blue Jays have Kendrys Morales and a number of outfielders who are in line to get at-bats in the DH spot. That wouldn’t leave much room for Tulowitzki, even if he did come to spring training next year fully recovered. On top of that, the Blue Jays have two of the best infield prospects in all of baseball. Vladimir Guerrero Jr. is poised to make his big league debut at some point in 2019 and figures to be the team’s third baseman of the future. Bo Bichette appears to be even closer and will likely take over at second base sooner rather than later. No matter how you slice it, the Blue Jays just don’t have room for Tulowitzki. Of course, Tulowitzki is likely to find a home with a team before the start of spring training. Any team that signs him would only need to pay him the major league minimum, meaning he’d be a low-risk signing. His days of being an everyday shortstop are likely over. But Tulowitzki could fit in with a team looking for an extra infielder. He probably won’t be in a rush to sign with a team, as he’ll want to see how the rest of the offseason plays out. Also, he will probably never play anywhere close to an all-star level again. But despite being released by the Blue Jays on Tuesday, it’s likely that we haven’t seen the last of Tulowitzki in the majors.